If you missed Arcade Fire's astounding live performance at Madison Square Garden earlier this August, here's a small consolation prize for you. 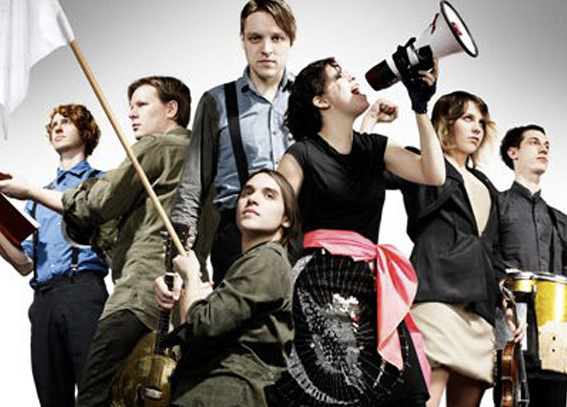 Have a watch at some sample videos via American Express--sponsor of the Arcade Fire Unstagged: An Original Series taped at their New York performance a few weeks ago. Plus, there is a behind the scenes video that even the attendees didn't have the privilege on seeing. It's hosted and directed by American director Terry Gilliam--who was hand picked by Win Butler: The American lead vocaslist. Happy Watching! (Videos of the concert live, plus behind the scenes after the jump).